Credit cards are useful ways to build credit ratings by showing future lenders that you are responsible in your spending and borrowing habits. They are also helpful in the rare financial emergencies. Get the right card to begin with. When you are first eligible for credit cards, you often are inundated with mailed offers from a variety of companies. To begin with, select just one card with a low spending limit. Choose one that also has a low annual fee and low interest rate. You’ll be building your credit rating by using this one card wisely. Be sure you read your cardholder agreement carefully. It will explain all the fees and finance charges that apply to your type of account. If you have questions, call the toll-free customer service number, usually found on the back of the card or the top of each statement document. Don’t use your credit card for everyday purchases. That’s what cash or a debit card (that takes money directly from your bank account) are for. Use your credit card for purchasing more expensive, longer lasting items. Don’t use your credit card to buy things you really can’t afford. Always follow your budget. Before using the card, you have to be sure you can repay it. 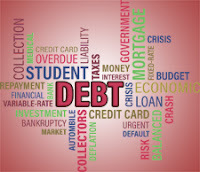 Try to keep credit card debt low enough that your required payments never exceed 10% of your lowest monthly income. Pay off as much of your monthly balance as you can. Always make at least the minimum payment required each month. If you can afford to pay more than the minimum, do so. Pay off the entire balance whenever possible. The more you pay off each month, the lower the finance charges you will have to pay. You should try to keep the owed balance on your card lower than 70% of the card’s credit limit at all times. Pay your credit card bill on time. Be sure your payment will arrive before the due date. Paying your bill on time each month is one of the best ways to build good credit; it shows future lenders that you’re reliable. Plus it also helps you avoid being charged additional late fees. Stay under your credit limit. Credit card companies will charge you an over-limit fee if you spend over your specified limit (check your cardholder agreement for the exact percentage.) You can avoid this problem by keeping track of your credit card use during each month. Keep a slip of paper in your wallet to write down every time you use your card, and keep a running total. You’ll want to be sure you always have about 30% of your allowed total available in case of an emergency. Cash advances are only for emergencies. Don’t take a cash advance just because your credit card company offers one. Use advances only in real emergencies. You’ll probably be charged an additional fee for the cash advance, and the interest rate on cash advances is usually much higher than the regular interest rate for the credit card. Check your cardholder agreement document for full details. If you’re in financial trouble, get professional help right away. If you feel you are getting into trouble with debt, get help soon rather than waiting for the situation to get worse. Set up an appointment with a credit counselor, an experienced financial professional who can help you plan ways to get out of debt.